‘The Tongue Box’ at the Cobblestone Bar, Smithfield, Tuesday 26th Oct.
in the plains…’), this time with a musical background. Personally, not sure about the musical background. I think poems have enough music of their own and therefore don’t need musical embellishment. Certainly, for me, Raven’s delivery of his stuff is good in itself and I’d prefer it that way. But, that’s me. Harry Muschops did a good job and the audience liked it. Raven also gave that ‘Taxi Dancer’ poem about girls who danced in clubs with men who bought a ticket firs, set during ‘prohibition’ times in America, a really good piece, and many more. 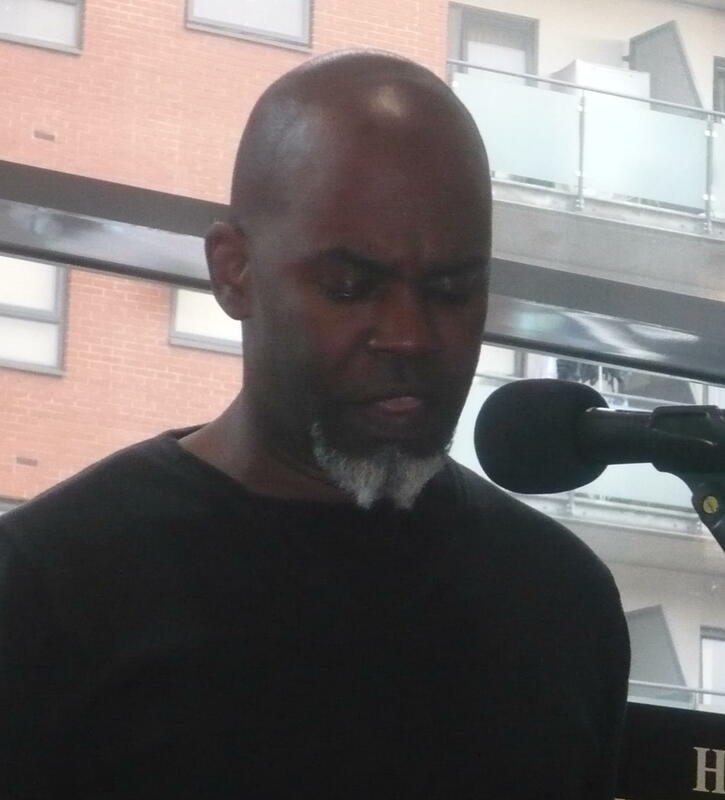 CAH44(Cliff Horseman) provided some of his great standard numbers, including that sound-experimental poem ‘What remains’, in which separate syllables are broken up until gradually coalescing into the word ‘wanting’. I had just read a few of Aldo Pallazeschi’s ‘Futurist’ poems that day and was strongly reminded of his ‘Farafarafarfa’. Pallazeschi (1885-1974)was trying out things a long time ago and has some really good stuff. He’s definitely be on for a turn on ‘the black stage’! Then it was time for Martin Daws, in great form with a number of poems from his ‘skin tight the sidewalk’ CD and some others. Terrific to hear him again with ‘yo red’, ‘river song’ and many others. Martin has an extraordinary presence: he dominates his words, his delivery, his audience. He is a real master, with every syllable and nuance honed to perfection. I guess he is the model for all delivery-without-script poets. Or he ought to be: like Raven and Cliff he eschews shouting at his listeners and makes sure every single word is clear. His gestures and dramatics are always tailored to the poem (and not the other way around). And his poetry, although certainly featuring himself prominently, is about more than just Martin Daws. ‘yo red’, for instance, conveys the really threatening and dark side of a city as well as Martin’s own terror. He also does not try to impose music on his work, allowing the poem’s own music to emerge. I could watch him forever. Thank you for the kind words. I’m glad you appreciated the show.